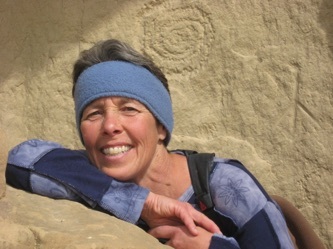 Jill Suffin graduated from the Boulder School of Massage Therapy in April of 1982 and has been serving Grand County's muscular "kneads" since then. When she first came to the Fraser Valley, she worked at Devil's Thumb Ranch at 2 runners camps sponsored by Bonnie Bell, and then became the massage therapist for the CLazyU Guest Ranch for 26 summers. For many years, Jill provided the massage therapy at the Arapaho Chiropractic Center with Dr. Betsy Jones, and then spent 3 years at the Bella Vita Wellness Spa. Currently she is working with the Winter Park Wellness Center at it's 2 locations, in Fraser and at the Iron Horse Resort in Winter Park. Jill specializes in what she calls her "firm but kind" approach to massage therapy and incorporates many different modalities. Her treatments include energy healing techniques, Trager work, massage cupping, and deep tissue massage, within a Swedish format. This provides for a very relaxing and therapeutic experience. The energy techniques she practices include Polarity therapy, Reiki, and chakra balancing. The latest addition to her "toolbox" is Massage Cupping which uses negative pressure and feels amazing. It is very effective for loosening the muscles, helping to draw toxins from the body, and can be very beneficial for many issues. Most people love the way it feels! Jill will team up with other massage therapists for couples' massage treatments and please ask about our 'couples massage' special. Jill is available to come to your office, shop, school, conference, or anywhere else to do chair massage. Show your employees how much you appreciate them by hiring her for your "employee or teacher appreciation day”. Scrapbookers LOVE taking a little break for a massage! A little goes a long way with chair massage! After 35 years of doing massage therapy, Jill still loves doing this work and feels extremely lucky to have the opportunity to help people feel better and be healthier. She will do full sessions of energy healing, prenatal massage, and can tailor any session based on the needs of her clients. She hopes to have the honor of working with you! Jill is also a representative for the Juice Plus Company, whose mission is to inspire healthy living around the world. They are the creators of fruits, vegetables, berries and grains in capsule and chewable, gummy form. If you need to bridge the gap between what you eat every day and what you are supposed to eat in terms of fruits and vegetables, Juice Plus+ can be a great addition to your life. We also have a delicious, healthy, protein smoothie mix and protein bars. Ask about our amazing Tower Garden, where you can grow your own produce hydroponically and aeroponically. www.jillsuffin.com takes you to my Juice Plus+ website. JP+: the easiest way to get the nutrition of 30 fruits, vegetables, berries, and grains into your daily diet! Please go to my website and see why over half a million people are taking Juice Plus+ every day, and take a look at the short video on the homepage for more info.